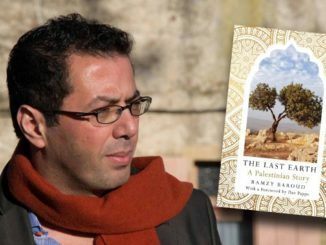 Hear acclaimed US/Palestinian author Dr Ramzy Baroud. By Live News / May 15, 2018 / Comments Off on Hear acclaimed US/Palestinian author Dr Ramzy Baroud. Headline: Hear acclaimed US/Palestinian author Dr Ramzy Baroud. NZ speaking tour itinerary – 18 to 24 May 2018. 9am: Kim Hill will interview Ramzy on her ‘Saturday’ progamme live on RNZ radio. 2pm: Ramzy will speak at the Nakba Rally, Aotea Square, Queen St, CBD.